First: If you're like me getting a headache when putting your photos to your Blogger blog, because Blogger automatically changes the colours of your photos, then please scroll down, because I have a solution for you at the end of this post. A month of celebrations here in The Netherlands. Sinterklaas, Christmas and New Years Eve. In a few weeks it will be winter. A time spent indoors at home to snuggle and renew the love for your treasures there. I received and old book from my grandmother. It belonged to an aunt of my grandfather. It is so thin and delicate. The 21st of December will be the shortest day and longest night of this year in The Netherlands. Sun rise at 8:46h and sun set at 16:30h. That's less than 8 hours of light and more than 16 hours of dark. Temperatures drop to somewhere around zero. I tend to stay indoors more when it's getting darker and colder outside. Colours are fading into muted hues of browns, greys and whites. 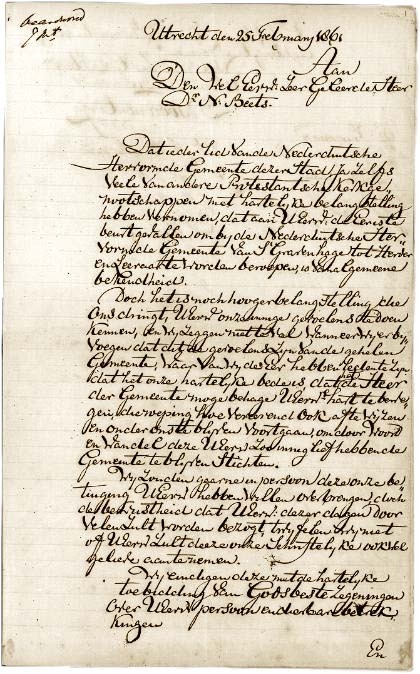 Above, one of the pages from the book. 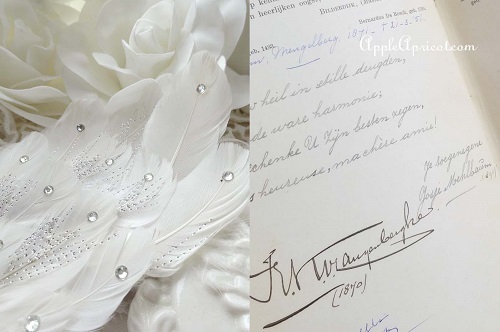 They had beautiful handwriting in those days. I love the faded and muted colours of winter. I'll be pining for fresh Spring colours, to be sure!! 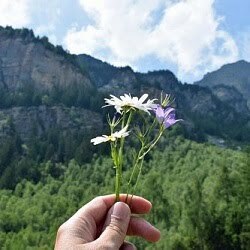 is the word prompt at Our Beautiful World this week. It's by Nicolaas Beets, born 1814 in The Netherlands. found on Wikipedia and a little bit of editing by me. Now on to the Blogger Headache!! (mostly darker) to my Blogger blog then the originals. which mostly makes them darker and smooths them out. (top right in your dashboard of your blog). and scroll way down to Photos. It says something like "automatic enhancing"
(mine is in Dutch, so I don't know what it says exactly). Please turn that feature OFF. Beautiful photos share Wendy, and thanks for the tips, I will have to go check mine to see if I have google plus or not. 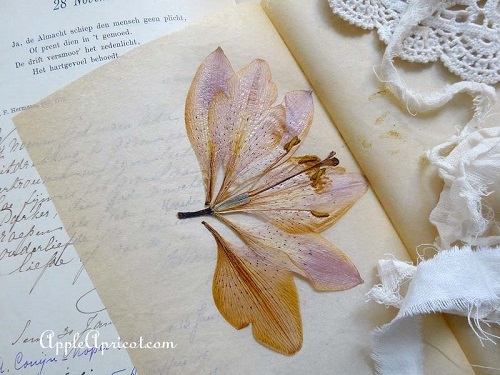 I am sure my heart skipped a beat on reading that the dried flower is over 100 years old, oh my word, how precious this is. My headache is for some reason advertisement windows are popping up everywhere and for some reason I cannot be rid of them and I am sure they are causing my laptop to run slower! The photos are lovely Wendy!! I haven't joined Google+. What a Beautiful post my friend. Your photos are so beautiful. I do hope you enjoy your December.. 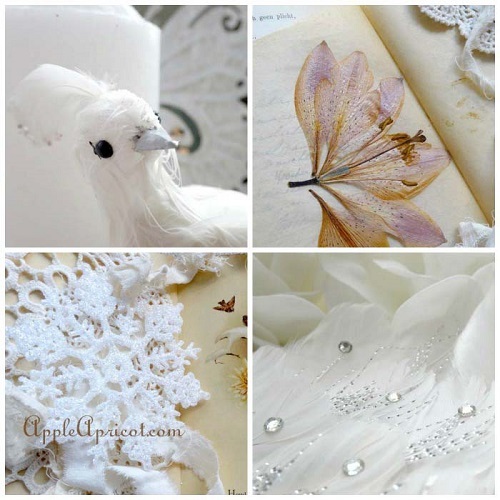 I loved the soft hues of the flower and lace from the get go...then to read it's over 100 years old!! How wonderful that someone found it so special they wanted it saved! Blogger, google and blog apps on iPad, they're all messing with us. Think they know what's best for out blog post....wish they'd leave us alone. 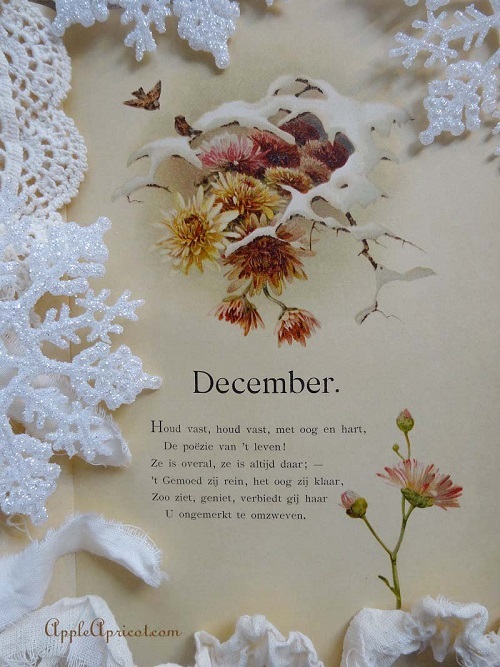 Do have a wonderful and peaceful December. 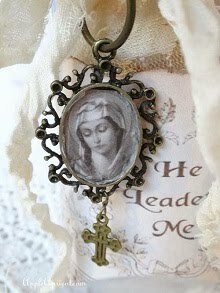 I so love visiting your blog, alwayes so beautiful and poetic,-just like today. 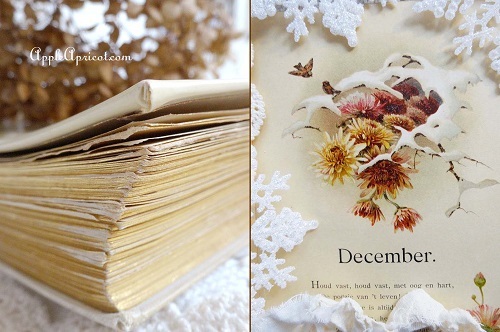 Your old book must be a treasure for you, and the flower ,oh so special! Here in Denmark we celebrate almost like you, and today I have a pale cold sun shining- a beautiful december weather! Your vignette is so lovely, and so are the collage you made ! Thank you for your old letter,-and all other wonderful images you share, so sweet of you. What a treasure!!. Flower so thin and delicate, yet already so old ... how did she do that?. I'd love to know :). Last week I made a baby girl mini album for a friend who just delivered a new born and I used lots of paper doilies, adding a little flower here and there would be amazing!. I don't think my Google+ is on, from the start I know I would be too impressed with it :). Gorgeous photos!!!. HUGS. Wow soso pretty thatblingy, feathery tail is amazing, love your pressed bloom too! So glad you stopped by my blog and I went trolling through your posts. I've been similarly frustrated by Google+ photo editing and a little peeved that I couldn't take the time to figure it out. Your post fixed it for me in about 67 seconds. Thank you, thank you, thank you!